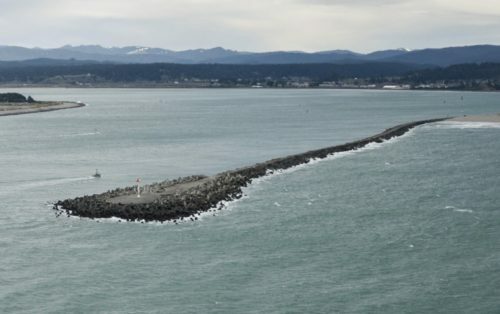 Mckinleyville, CA–An off-duty Coast Guard civilian employee rescued a man near the Humboldt Bay north jetty Thursday, after seeing a man treading water in the high surf and strong current. A California Department of Fish and Wildlife marine unit and a Humboldt County Sheriff’s Office marine unit also responded. “I just did what any Coastie would do in that situation,” said Bluntzer.